New Intern here at INTERNeX! My name is Amiel and although I’ve already been here for a few weeks, I finally get to begin. Now, let me tell you a bit about myself and what I’ll be doing. I’m a 24 year old university student from Germany, in my senior year, working on my Bachelor in International Business Administration. I might not look like it but I really am German…and American. So, a little bit of both and believe it or not, this isn’t that rare where I’m from. Alright, let’s get back on track. I came to Canada with the INTERNeX Practicum program and over the next 4 months I’ll be working as a PR Coordinator together with Natasja. Organizing activities for you like the weekly PuB NiGHTs, events&trips and also keeping you updated on all things concerning INTERNeX. 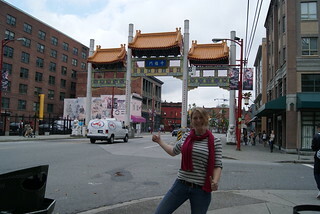 Check out the Blog and Facebook regularly for news on fun stuff to do in and around Vancouver. I’m really looking forward to an awesome experience here in Canada. See you at the next Pub Night! That’s right, a new INTERNeX face. My name is Natasja and I am a 23 year old student from the Netherlands. I will be the new PR coordinator for INTERNeX as part of my Bachelor study program, which is International Leisure Management. I am in the fourth and final year of this study program and another part of it is a graduation project – writing a thesis. This thesis will be about the INTERNeX’ Ranchstay program. I will be researching the actual candidate experience and how the candidates actually like the program. So, if you are participating in the Ranchstay program now, or if you will be participating in the program later you might receive a message from me! Besides writing my thesis I will be part of the PR department. I will organize INTERNeX trips in and outside Vancouver, I will organize pub nights and I will be the one you can contact when you encounter difficulties. For now, I hope we will have a blast of a time together in Canada and I cannot wait to see you all on our trip to the Rocky mountains! 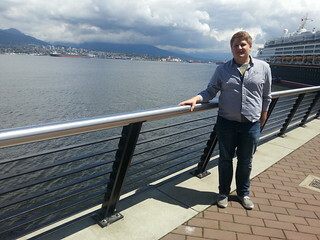 Introducing to you our new practicum student at INTERNeX in Vancouver, Ole!! my name is Ole and I’m a new intern at INTERNeX in Vancouver and part of the PR-team for the next four weeks. I’m 21 years old, from a small city in Northern Germany which is called Nordenham. The last years I did my apprenticeship as an office manager, but now I decided to study tourism. This is my first time in Canada, but I already got a lot of impressive and exciting impressions of Canada because I already arrived one month ago. I really love this country and their people, especially Vancouver. I have never seen a big city like Vancouver which is so close to this amazing nature. At INTERNeX I am working in the PR Department, so I will be planning the upcoming events like the weekly pub nights or other trips. I will also keep you updated on every social media platforms of INTERNeX about upcoming events and further helpful information like the ‘Smart Saver’. I am looking forward to meet all of you at one of the upcoming events and having fun together. My name is Annika Wäsche and I started work here at INTERNeX right after Labor Day; which is a fitting metaphor , I guess. For the next few months I am going to be part of the PR team and already feel very welcome by my colleagues. After all they immediately noticed, accepted and supported my urgent need for coffee. For the last year, I participated in the master’s program ‘North American Studies’ in Bonn, which is located in the Rhineland and part of my beloved Germany. So being an intern in one of the supposedly most beautiful cities in North America is exactly spot on for me. Growing up at the Baltic Sea coast, then going abroad to the U.S. after school for some time, and going back to the middle of Germany to study… I am used to get around a bit and that is why I am looking so much forward to my stay here in Vancouver. Another part of the world to discover, new interesting people to meet and more experiences to last for a lifetime. One of my hobbies is sports and having been in the U.S. for a while, I have to say that I love American football. I am sure that I will be heading to one or the other sports bar as soon as the season starts again. Maybe hockey will do the trick, too? I am excited to find out. Other than that, I also love a good book and having a nice evening out with some friends. 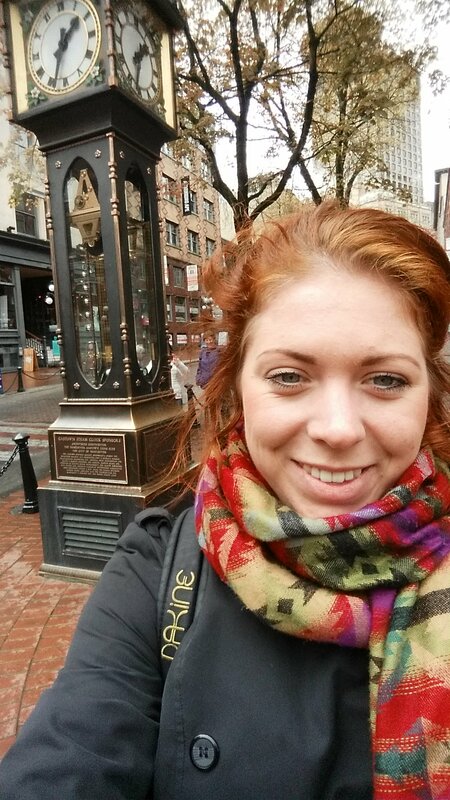 Right now, I am starting to discover Vancouver and we will probably meet at one of our upcoming events. If you have any questions do not hesitate to ask; you will find me on Facebook.